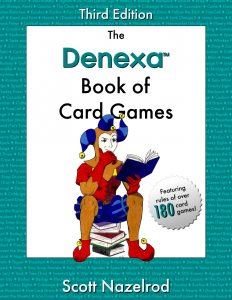 Most card games rely on the fact that the exact composition of the deck is known, but the identity of any individual card may or may not be, depending on the role it is currently fulfilling in the game. 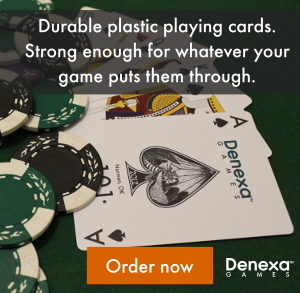 Therefore, keeping the composition of the deck correct and cards indistinguishable from the back is vital to ensuring game balance and fairness to all players. Decks of cards which do not fulfill these requirements can be categorized as either incorrect or imperfect. An incorrect deck is one with an incorrect composition for the game required. That is, if the game requires a standard 52-card deck, the deck must consist of ace through king in each of the four suits. Other games, such as Pinochle, require a different composition, which the deck must match to be considered correct. Incorrect decks are those which are either missing one or more card, or have somehow had extra cards included, usually because they were mixed in with cards from another, similar deck. Missing cards most frequently happen because they were accidentally left in the box or somehow found their way outside of the play area (e.g. by being dropped on the floor). In most games, when an incorrect deck is found to be in use, the deal is void. Collect all of the cards, correct the deck, if possible, and redeal. Any game play prior to the hand where the deck was found to be incorrect stands, however. If the deck cannot be corrected, because the missing cards have become lost, a new deck should be substituted. An imperfect deck is a little more troublesome. That’s because imperfect decks include all other problems with a deck of cards that cannot be fixed by simply adding or removing cards. These include anything that makes the deck identifiable, such as printing defects or damage. If this is discovered in the middle of a hand, the hand continues, but for the sake of fairness, all players should be informed as to what the identifiable card is. After the hand ends, the deck is replaced. You can avoid incorrect and imperfect decks being put into play by verifying the cards before game play starts. You can also guard against the cards becoming incorrect during game play by simply counting them to ensure the correct number is there between hands. If you use multiple decks of cards, ensure they have contrasting back designs (never use two blue decks, use one red and one blue).